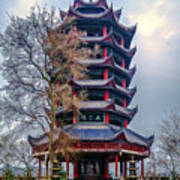 Pagoda in the Ghost City in Fengdu in the Chongqing municipality, China. 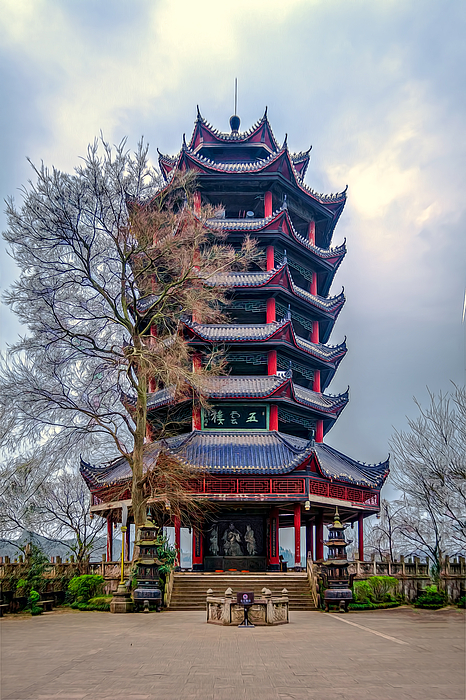 Fengdu Ghost City is a large complex of shrines, temples and monasteries dedicated to the afterlife located on the Ming mountain, in Fengdu County. 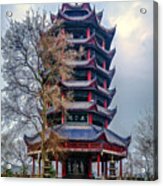 It is situated about 170 kilometres (110 mi) downstream from Chongqing on the north bank of the Yangtze River. 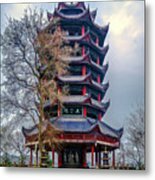 The city consists of buildings, structures, and statues that are related to the concept of the underworld and hell in Chinese mythology and Buddhism. Proceeds from the sale of this photograph goes to help orphaned and abandoned children in Colombia South America.